The Jack & Jill Foundation (JAJF) is an organization that gives families that have a parent with terminal cancer an opportunity to make awesome memories with WOW! Experiences (e.g. SeaWorld, baseball games, etc.). 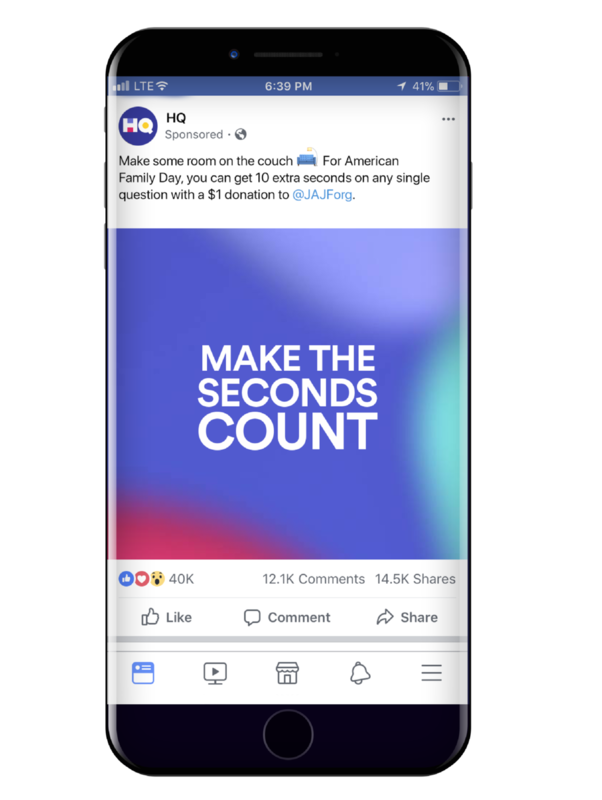 Because it's about how meaningful the time is, not how much of it that you have, we created a partnership with HQ Trivia. 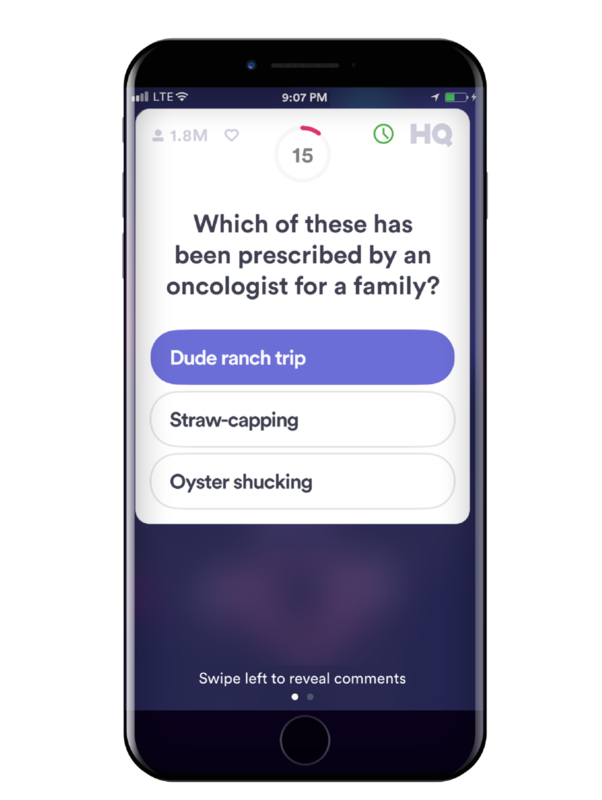 We'll round up HQties on social media to play HQ Family: a game on Sunday, August 5 for American Family Day, with a game mechanic to donate to JAJF. Host Scott Rogowsky will introduce the game as per usual, but introduce JAJF and its cause with Founder Jon Albert in a pre-recorded video. During the game, players will have the option to tap the clock icon to donate $1 for 10 extra seconds on a single question. When they get out, they'll be thanked for their donation and encouraged to share it on social media. we would've raised over $100k--enough to send 70+ families on amazing experiences.